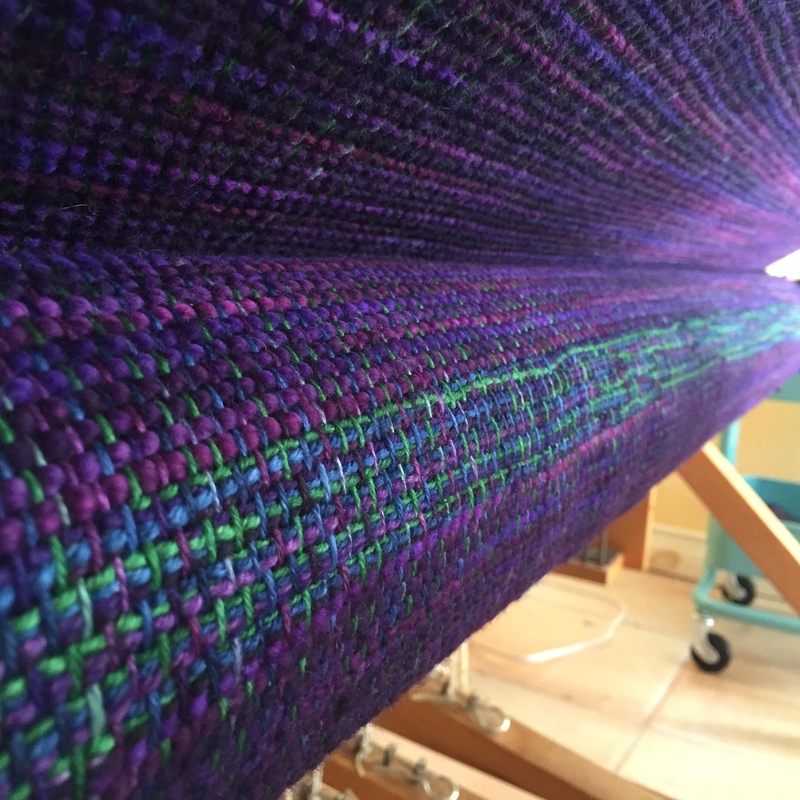 I’ve added this to the Blanket and Home Goods page already, but I love this thing so much I had to give it its own post. 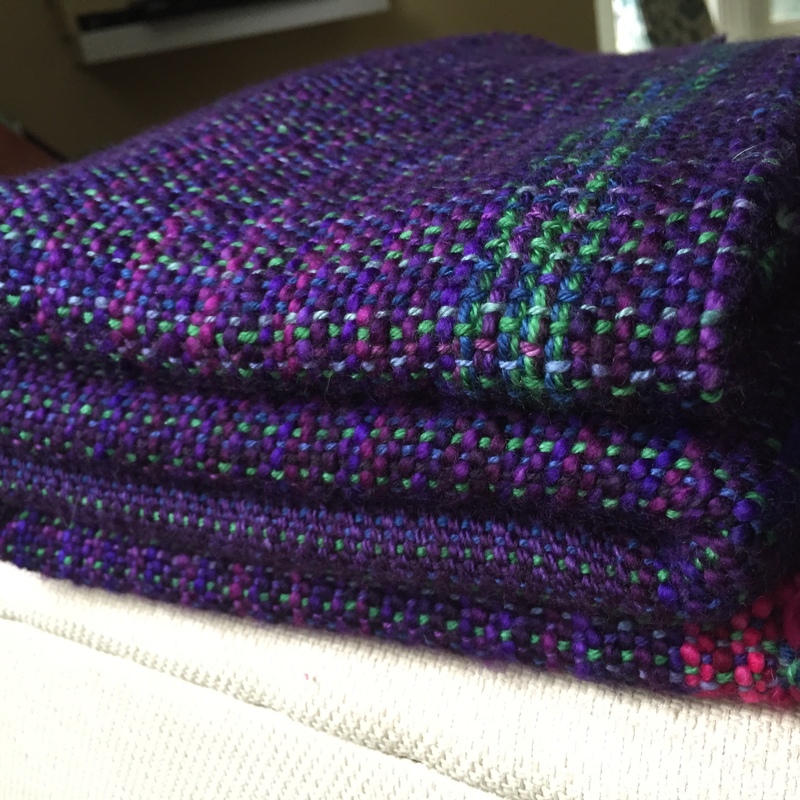 This is the “Helene” Blanket. A moody mix of purples, green, blue and a dash of pink. Mysterious, happy, comforting. 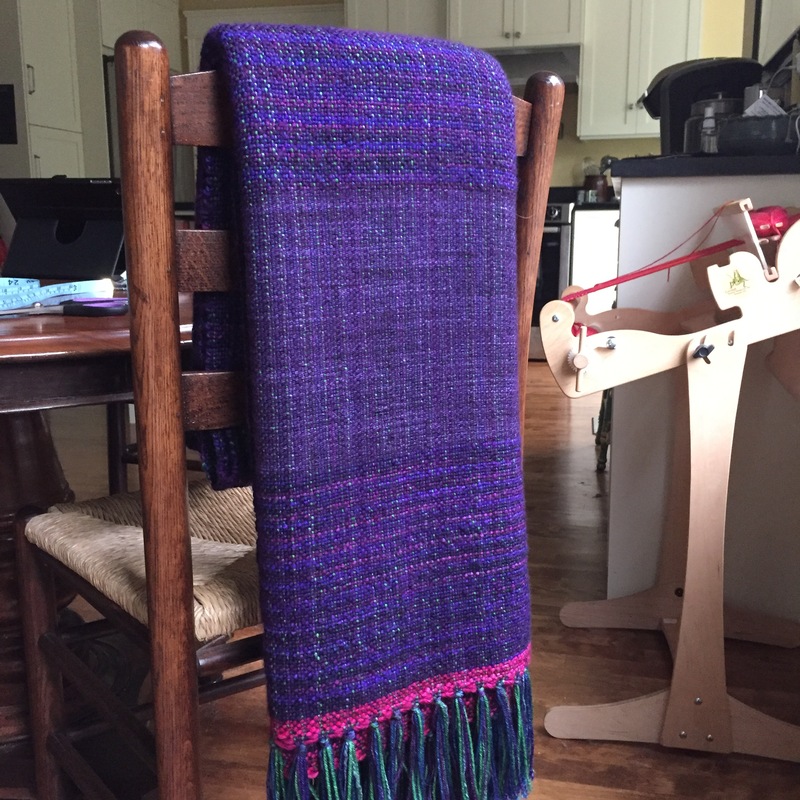 It’s plain weave, which I love. It is underrated as a draft, but sometimes you just want to let the fibre and colour do the talking for you, you know? This is one of those times when I wish I could keep what I make, but it was a commission and I have to let it go. It’s 100% merino wool from Mineville Wool Project, three different kinds: a lovely 4 ply, a dk weight, and a 1 ply chunky. All of it lovely, all of it machine washable. All of it soft and velvety, cool to the touch but so warm in a blanket. The piece itself 40″ x 88″ with fringe – more than wide and long enough to binge-watch a whole lot of Dr. Who, Game of Thrones, and Marvel superhero movies with one’s sweetie. 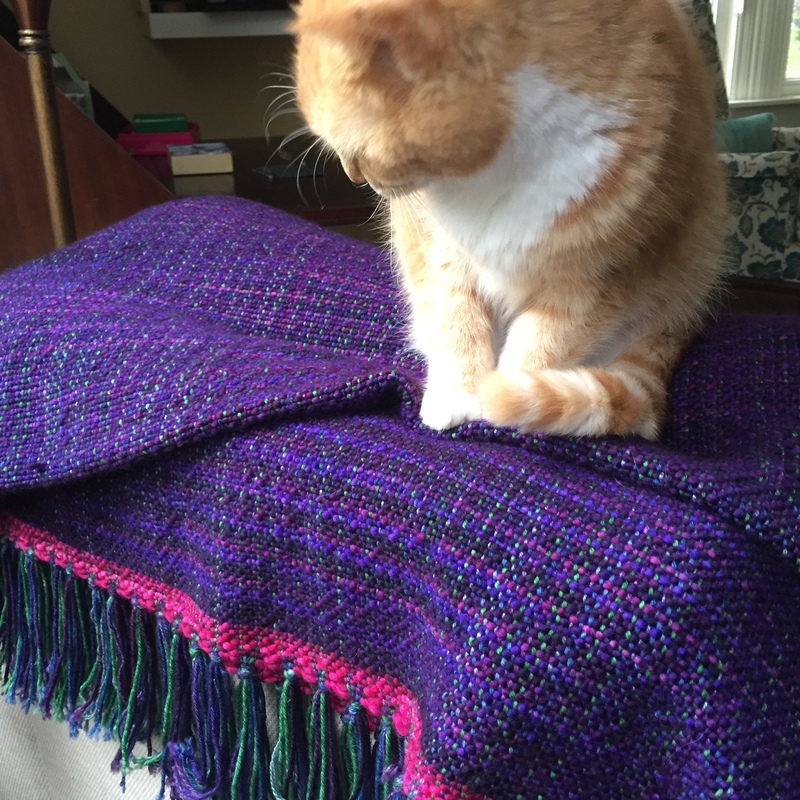 I don’t usually let the cat do this – the blanket is for a cat-lover so I let her do it this once.